Fujita Kanko Opens Guangzhou Office in China | Fujita Kanko Inc.
February 6, 2019, Tokyo – On April 1st, leading Japanese hospitality company Fujita Kanko Inc. will open a new overseas office in Guangzhou, China, its second in China after Shanghai. 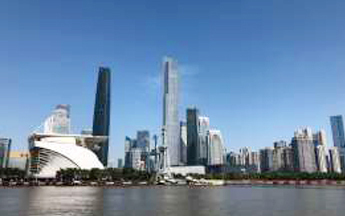 With a population of 12 million, Guangzhou, the capital city of Guangdong Province in southern China, is the third largest metropolis in China following Beijing and Shanghai. Utilizing the Guangzhou office, Fujita Kanko will reach the growing market in southern China that includes Hong Kong and Shenzhen, while the Shanghai office focuses on eastern and northern China. “Opening the Guangzhou office is a crucial step in our business plans,” said Akira Segawa, Fujita Kanko’s President and CEO. 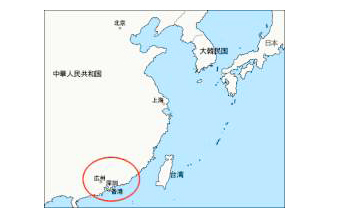 “Approximately 30% of the Chinese visitors to Japan come from southern China. From urban hotels to hot spring resorts, luxury accommodations to glamping facilities, we offer a wide range of properties catering to the diverse needs of travelers. By adding the Guangzhou office, we want to continue reaching the growing number of Chinese travelers and introduce them to our offerings. According to the Japan National Tourism Organization (JNTO), the total number of Chinese visitors to Japan hit a record high of 8.38 million in 2018, and shows no signs of slowing down. In 2018, approximately 800,000 of them stayed at Fujita Kanko properties throughout Japan. As of April 1, Fujita Kanko will have overseas office locations in Taipei (Taiwan), Jakarta (Indonesia) and Yangon (Myanmar), in addition to Shanghai and Guangzhou. They promote the company’s 70+ properties/facilities, and build international recognition for its businesses among travelers and other stakeholders. Reorganizing its resources, the company will close its Bangkok office on March 31st. Fujita Kanko is also expanding its overseas properties: Hotel Gracery Seoul opened in 2018; Isoras Cikarang (service apartment) will open in Jakarta this fall, and Hotel Gracery Taipei will open in 2021. Fujita Kanko Inc., established in 1955, is a publicly-traded tourism industry corporation headquartered in Tokyo. In addition to its core hospitality business, it operates wedding and banquet facilities, high-end resorts, leisure facilities and related services. It has 70 properties/facilities, including its luxury flagship, Hotel Chinzanso Tokyo, and 35 mid-priced hotels throughout Japan in the Hotel Gracery and Washington Hotels groups.